Hey, it turns out that totally by accident we saved the best for last! 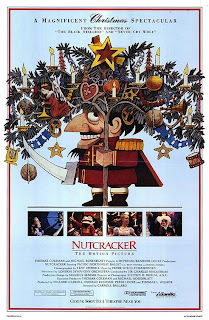 First we saw the pretty mediocre Nutcracker: The Movie, then a version with pluses and minuses starring Mikhail Baryshnikov. This one, though, was definitely our favorite. I should mention here at the front that one of the stars is Macaulay Culkin. It was good anyway, I promise. That's not to say it doesn't still have some problems, but the balance between film and stage is much better here. This one was actually enjoyable to watch for the whole first half! The first act is very strong. Stage magic is used instead of movie magic 99% of the time, the camera angles are well chosen, the makeup works in closeup, and overall the balance between movie-realism and the stylized nature of ballet is very well handled. 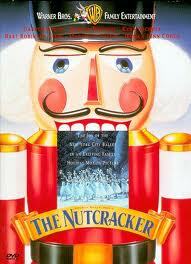 Overall, this is a better version of The Nutcracker, but it still isn't great. 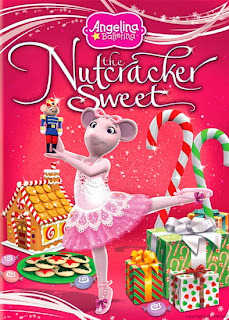 After our experiences with Nutcracker: The Motion Picture, I was leery of anything that crossed the line between filming a stage production and making a movie. This special made this error less, but I yelled at the screen several times anyway. “Stop with the poor special effects and just film the dancing!”or something. Maybe Erin recalls, I was somewhat incoherent in my frustration. Happily, when they did film the dancing here, the dancing is very strong. The costumes were better, the choreography was better, it was just overall better done than the blatant cheesiness of the first one we watched. 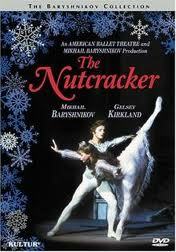 Now, there are a few aspects of the costuming that make it clear that this is ballet, filmed in the 1970's. There is no hiding of bodies, no shying away from ridiculously tight shiny pants. So be aware of that. I liked this more than Erin did, I think, but it eventually grated on me as well. This is also known as the Seattle Ballet Nutcracker, and that is a more appropriate name, as the largest problem with this was the tension between whether you were watching a dance piece or a movie. I found the beginning rather charming, but eventually it was just long and strange. 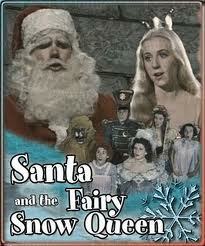 The surreal narration doesn't add much. The dancing is decently done, most of the time, and I'm sure it was fun to see live. The energy of the dancers just doesn't translate to film. The camera is often filming the least interesting part of the dance, and occasionally it seemed to me that the visuals were out of sync with the music.